The first commercial photographic portraits were produced by the daguerreotype process. This early form of photography, which involved fixing an image on a silver-coated copper plate, had been introduced by Louis Jacques Mande Daguerre in 1839. The earliest daguerreotype portrait studios had to be licensed by Richard Beard, a former coal merchant and patent speculator, who held the patent rights on the daguerreotype process in England and who was the proprietor of England's first photographic portrait studio. Richard Beard had opened the first professional photographic portrait studio in Britain at the top of the Royal Polytechnic Institute in Regent Street, London on 23rd March, 1841. As the sole patentee of the daguerreotype process in England and Wales, Beard had a virtual monopoly in the production of photographic portraits using Daguerre�s method of photography. Until the patent rights of British Patent No 8194 expired on 14th August 1853, any person who wanted to legally carry out the art of daguerreotype portrait photography on a commercial basis had to apply to Richard Beard, to either purchase the right of patent in a prescribed geographical area or to purchase a licence to work the process in a particular town or city. By June 1841, Richard Beard was issuing licences for the establishment of photographic portrait studios outside of London. At the end of July 1841, William Bishop, a carver and gilder, opened England's first provincial photographic studio at his business premises in Plymouth. Over the next few months, daguerreotype portrait studios were set up in Bristol, Cheltenham, Liverpool and Nottingham. The first photographic portrait studio in the county of Sussex was established at Brighton, a rapidly growing seaside resort on the south coast. William Constable, a former high street draper and accomplished surveyor and engineer, opened his Photographic Institution on Monday, 8th November, 1841 at 57 Marine Parade, a large house situated on Brighton�s eastern seafront. William Constable had paid �1,000 to Richard Beard for a licence to take daguerreotype portraits in Brighton. Holding an exclusive licence from Richard Beard, William Constable had a virtual monopoly in the production of photographic portraits in Brighton and the surrounding area between November 1841 and 1851. There is evidence to suggest that a licence to take daguerreotype portraits in an area around Chichester was issued sometime before 1847. On 26th June 1847, an advertisement appeared in the Sussex Chronicle offering to sell a daguerreotype licence which covered a "circuit of fourteen miles, and including six towns". A sales advertisement for the same daguerreotype licence, published in The Times on 4th September 1848, provides more detail : " PHOTOGRAPHY - To be SOLD, a LICENSE for a district embracing a circle of 14 miles, taking the city of Chichester as the centre. The district includes Chichester, Bognor, Littlehampton, Arundel, Petworth, and Midhurst ". In 1849, Richard Beauford, who described himself as a ' Steliographist', began taking what he described as "Miniatureotype Portraits" at the Assembly Rooms in St. Leonards on Sea. Beauford was clearly making portraits using the Daguerreotype Process, but he studiously avoids using the term, probably fearing legal action from Richard Beard, the sole patentee of the daguerreotype process in England. 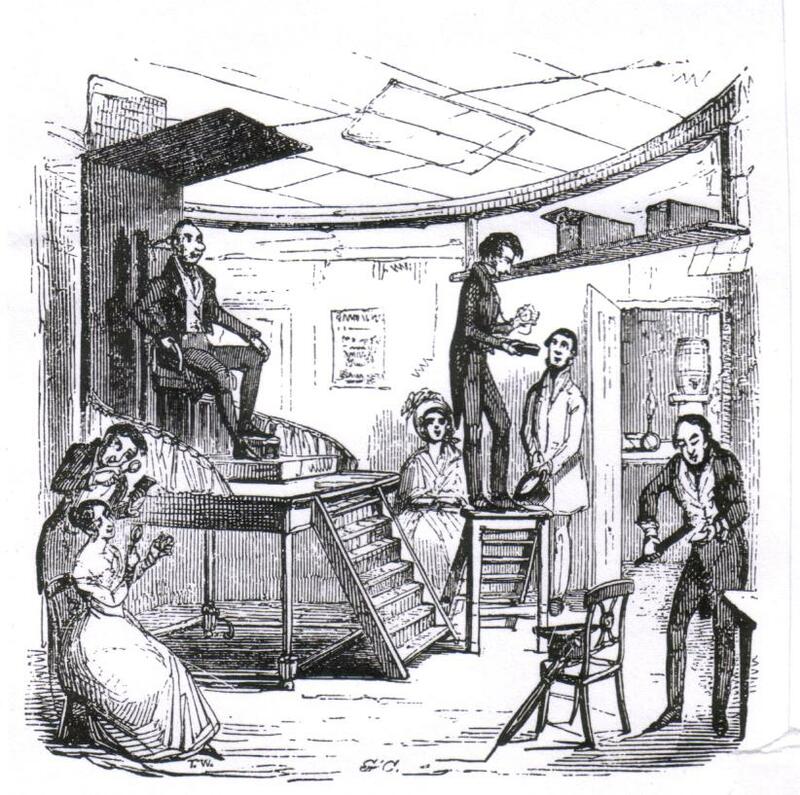 Around August 1850, Beauford opened a second studio at 6 East Parade in Hastings. Early in 1851, Richard Beauford employed the services of his married sister, Mrs Maria King, a professional artist from London, to take portraits at his branch establishment in St Leonards. Mrs King, therefore, has a claim to be one of the earliest professional woman photographers in Sussex. ( William Constable was assisted by his two nieces, Caroline and Eliza Constable, at his Photographic Institution in Brighton during the 1850s and Madame Agnes Ruge is listed as a daguerreotype artist in the Trades Section of a Brighton Directory published in 1854). Richard Beard's patent on the daguerreotype process was not due to expire until 14th August 1853, but some itinerant daguerreotypists occasionally made an appearance in Sussex during the early 1850s. In early June 1851, Messrs Blagrove and Moore were taking daguerreotype portraits in Lewes on Brack Mount, a mound near Lewes Castle. ( Daniel Blagrove, one of the partners in this team, later established a permanent photographic studio on the High Street of Lewes ). Although through his licence, William Constable had exclusive rights on the production of daguerreotype portraits in Brighton, at least on one occasion, a daguerreotype artist felt confident enough to challenge Constable's monopoly. In the Summer of 1852, Joseph Meurant, a French daguerreotype artist from Paris opened a Daguerreotype Room in East Street, Brighton. Meurant remained in Brighton for less than nine months before moving on to London. In 1839, the same year that Daguerre announced his method of fixing images on a silvered copper plate, William Henry Fox Talbot, an English landowner, scholar and scientist, published 'The Art of Photogenic Drawing', an account of how he had managed to capture images permanently on paper. Talbot's early pictures were small, required very long exposure times and lacked the sharpness of detail and brilliance of the daguerreotype. Talbot continued his experiments and improved the quality of his photographs by coating his paper with silver iodide and developing the images with a gallo-nitrate of silver solution. Talbot patented his new process in February 1841, describing his pictures as 'Calotypes'. Talbot protected his photographic inventions by filing a number of all-embracing patents. 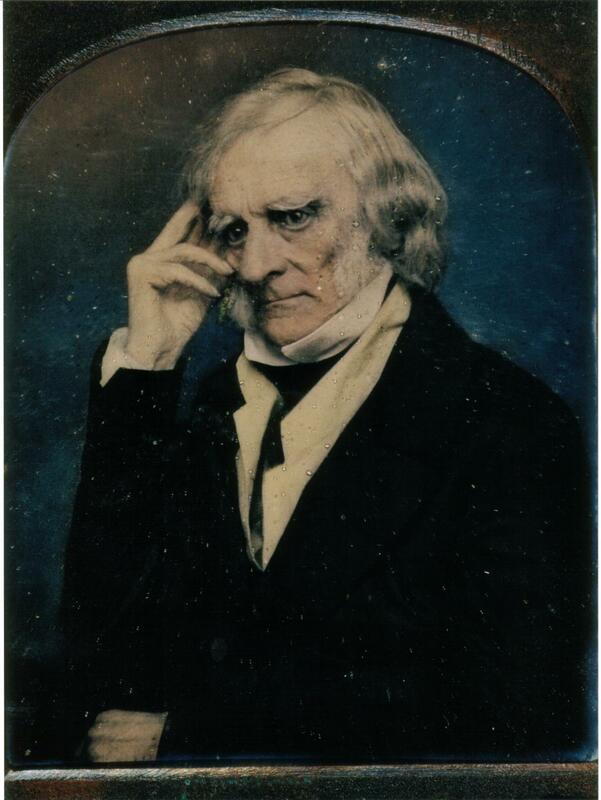 In August 1852, relaxed his control over the production of calotypes, allowing amateurs and artists to use the process, but he insisted that all professional photographers who wanted to use his calotype process for taking portraits had to purchase a licence, which usually involved an annual fee of between �100 and �150. In 1852, Thomas Henry Hennah, a young London artist, together with William Henry Kent, a photographic artist from the Isle of Wight, purchased a licence from William Fox Talbot to make portraits using the calotype process. The photographic prints were called 'Talbotypes' in honour of the inventor. By 1854, Hennah and Kent had established a Talbotype Portrait Gallery in William Henry Mason's Repository of Arts at 108 King's Road, Brighton. In the summer of 1854, the studio of Stephen Grey and William Hall was also producing Talbotype photographs in Brighton. In March 1851, Frederick Scott Archer, a sculptor and a member of the Calotype Photographic Club, published details of his "wet collodion process", which involved coating a glass plate with a mixture of potassium iodide and a sticky substance called collodion. Also known as "gun cotton", collodion was a transparent and adhesive material that was first used in surgery to dress wounds. The coated glass plate was then sensitized in a bath of silver nitrate. The highly sensitive wet plate was then placed inside a camera and exposed by uncapping the lens. Earlier methods using glass plates coated with albumen (egg white) provided exposure times of between five to fifteen minutes and so were unsuitable for portrait photography. Archer's "wet collodion" process could produced high quality negatives after exposures of only a few seconds. Unlike Beard with the daguerreotype process and Talbot with the 'calotype', Archer chose not to patent his discovery and offered his invention free to all photographers. William Lane, a picture frame manufacturer who had established a Photographic Apparatus Depot in Brighton, was promoting the new process of making "portraits and views taken on glass" as early as September 1852. In an advertisement placed in The Times, dated 10th September 1852, Lane claimed that "any person can produce in a few seconds, at a trifling expense, truly life-like portraits." Early in 1853, William Lane's Cheap Photographic Depot was offering a "complete set of apparatus for the glass or paper process" for the sum of 4 guineas (�4. 4s/�4.20p). By October 1853, the proprietor of The Royal Chain Pier Photographic Rooms in Brighton was advertising "Portraits superior to engravings by the new process on glass." With the introduction of Archer's Collodion Process and the end of Richard Beard's Daguerreotype Patent in August 1853, there was a sudden increase in the number of photographic studios operating in Sussex. In 1851, there was only one photographic studio in Brighton - William Constable's Photographic Institution on Marine Parade. When W. J. Taylor's Original Directory of Brighton was compiled for the year 1854, ten photographic studios were listed in this seaside town. In March 1853, even before Constable's daguerreotype licence became worthless, Robert Farmer, a chemist with a shop in North Street, Brighton was taking cheap daguerreotype portraits at his Daguerreotype Rooms. By the end of 1853, William Lane and Edward Collier were also making daguerreotype portraits in Brighton. Taylor's Brighton Directory of 1854, provides the following names under the heading of "Artists - Daguerreotype" - Edward Collier, the brothers Charles and John Combes, William Constable, Lewis Dixey, Robert Farmer, Stephen Grey and William Hall, Jesse Harris, Thomas Hennah and William Kent ( who were using the Talbotype process), William Lane and Madame Agnes Ruge. In 1853, Jacob Henry Connop took over Richard Beauford's Daguerreotype Portrait Gallery at 6 East Parade, Hastings. By the Summer of 1854, two more daguerreotype artists, Mr D.Gates and Frederick Brookes had each set up photographic studios in Hastings. In April 1855, William Martin, described as a Photographic Artist and an Artist in Hair, was offering his customers in St Leonards the unique opportunity " to have their HAIR blended with their PHOTOGRAPHIC PORTRAITS." In the Summer of 1855, a journalist with the Hastings and St Leonard's Chronicle interviewed James Maginn, an itinerant photographic artist who had set up a studio at No.9 Wellington Place, opposite Wellington Square in Hastings. The Hastings reporter concluded that photographic portraits were now so cheap " that there are few families who are now without a 'portrait gallery' in the shape of a collection of photographic miniatures." The growth in the number of photographic studios in Sussex was most noticeable in the seaside towns of Brighton and Hastings, but from around 1855 the inhabitants of smaller towns had the opportunity to secure a photographic likeness. In January 1855, John Craig, an itinerant photographer from Kent, visited Cuckfield with his photographic apparatus to exhibit his daguerreotypes and take portraits of local residents. In May 1855, Edward Charles Cortis (Stanford), a young Professor of Chemistry, was offering to take photographic portraits at his father's chemist's shop at 12 South Street in Worthing. By 1858, Edward Reeves, formerly a watch and clockmaker, had built a photographic studio at his business premises at 159 High Street, Lewes. Before the end of the decade, photographic studios would be established in Bognor, Chichester, Eastbourne, Horsham, Rye and Walberton. In the 1861 Census, around 90 photographers were recorded at work in the county of Sussex and when a Sussex Trade Directory was published in 1862, thirty-seven photographic studios were listed. There were at least 20 photographic portrait studios and independent photographers operating in Brighton at this time and over half a dozen photographic studios were in business in Hastings & St Leonards. The 1862 Trade Directory also mentions photographic artists in Chichester, Cuckfield, Eastbourne, Lewes, Seaford, Shoreham, Walberton and Worthing.